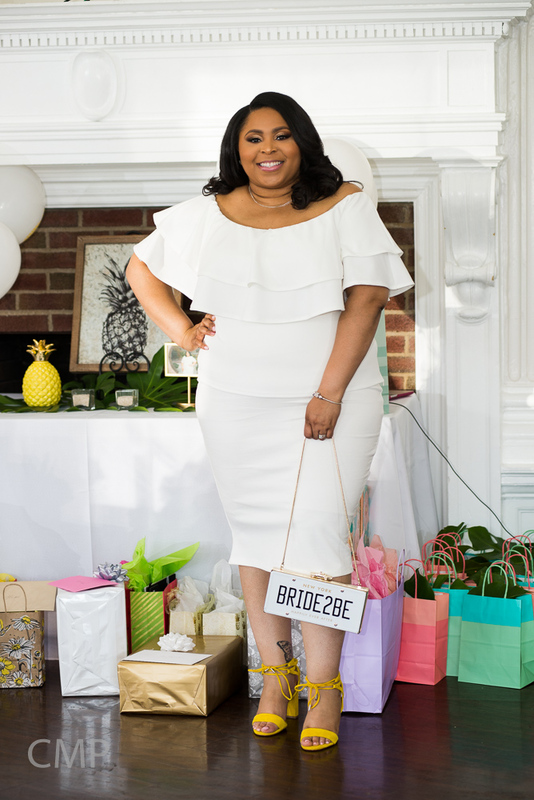 When a fabulous bride is about to say I do in Punta Cana, what better way to celebrate her upcoming nuptials than with a tropical themed bridal shower! Last month I had the pleasure of assisting the most thoughtful wedding party, as they prepared to shower their good friend with lots of love and a bright and fun soiree! From brunch meetings with the amazing maid of honor to phone calls discussing details, working with these ladies was a joy, and the bride is one lucky lady to have friends like them. Not to mention, the bride has the sweetest personality, so all around I enjoyed being apart of this special event. Doesn't this make you want to go lay on the beach now?! This shower has me all excited for summer soirees and vacations right around the corner! What fun trips do you have coming up this summer? Share below. It's Throwback Thursday, and I'm dishing some fun birthday party ideas! Yesterday marked the 1 month countdown to my son's 5th birthday...where has the time gone?! Cameron truly lights up my world, so when it comes to his birthday, I always try to make it unforgettable for him. His 4th birthday party last year was no exception! Cameron is a summer baby, and summertime is synonymous with county fair season. Since Cameron had never been to a county fair, I wanted him to have his very own for his 4th birthday party. Thus, the Cameron County Fair was born! To add more fun to theme, our immediate family held honorary positions in "Cameron County", with t-shirts to match: the birthday boy was naturally the Commissioner, my husband was the Sheriff (which fit him so perfectly lol), I was the County Administrator, and baby girl was the County Clerk :-) Cute, right! With the help of hay bales, bandanas and some county fair staples, we set the scene for this super fun soiree. In order to pull off a true county fair party, I knew I needed plenty of outdoor fun and yummy food. Thankfully, the sun was shining, and our backyard served as the perfect space for all the party games and activities, which included: pony rides, a petting zoo, face painting, clown appearance, balloon twisting, sack races, ring toss, and moonbounces. In addition to all the fun fair activities, guests were able to enjoy soda pop and ice cold lemonade in county fair jars, along with other county fair favorites, such as corn dogs, grilled food, fries, cotton candy, popcorn, snow cones and so much more! Because every party must have a sweet ending, in tribute to a traditional county fair, we had a pie eating contest! We had 4 adult volunteers participate, and let's just say it was pretty hilarious! I couldn't leave the kids out, so they were able to have fun with a junior cupcake eating contest. For those who wanted even more dessert, we had the cutest themed cake that was so delicious! The Cameron County Fair was brought to life with the help of these amazing vendors! Tell me what you think about Cam's 4th birthday party in the comments section. For the big 5, we will be celebrating at the greatest place on Earth...Disney! We can't wait! With the start of any new year, and especially during engagement season, it's key for event professionals to be aware of the industry trends, while of course creating trends of your own. Last night, I attended Aisle Perfect's Trends and Tastings event, which was a refreshing evening of discussing the latest bridal trends while enjoying delicious hors d'oeuvres pairings. The amazing team of vendors created a gorgeous and inviting space at The Loft at 600 F in Washington, DC that definitely wowed. There will be requests more and more for unique florals that are garden inspired, such as these beauties above created by Intrigue Designs. Couples are into personalizing all details of their big day, from custom stationery to hiring a graphic designer to make wedding logos or monograms. Not to mention, of course coming up with wedding themes unique to the couple and hashtags for social media. Blush and gold color palettes are here to stay! Alexandria Lindo also shared that copper is also a great accent for pink hues. Tell us what bridal trends you expect to see this year in the comments section. No wedding is complete without a professional planning team to ensure your vision comes to life, so drop us a note on our Contact page to schedule a complimentary consultation. We'd love to create a new trend for your big day! It's the most wonderful time of the year, and officially Winter. Although this December hasn't brought the expected snowflakes, a special "Baby It's Cold Outside" baby shower did! I'm so excited to share the details on this Christmas Eve. When planning this wintery theme with mom-to-be, Lari, we were dreaming of a white, tan, silver and baby blue color palette perfect for a little prince on his way. Lots of snowflakes, burlap, trees and Christmas lights helped to set this December scene. With the incorporation of a soup bar, festive dessert table and hot drink station, the theme truly came to life in all aspects of the day. The shower was filled with lots of fun and activities for the whole family, to include: a photo booth, face painting for the kids, an entertaining game of Baby Feud, and more. As a thank you for warming the parents-to-be hearts, all guests received the perfect winter takeaway...smores! This was my last soiree for 2015, and it was such an amazing one to end our year! I especially enjoyed working with event stylist, Tracy of Tracy Cakez, Sarah of Pure Passion Photography, Snapshot Moments Photobooth, and Kelley Lou Cupcakes, who all helped to make the shower sensational. Tell me what you think about this cute and cozy baby shower in the comments section below. I hope you have a very Merry Christmas, and visit our blog again before the New Year! December is finally here, and we are so excited to kick off celebrating the holidays this Sunday at an amazing event for ladies! If you live in the DMV, mark your calendars now. Beauty, fashion and wellness will collide for the one and only “Treats and Tea” event hosted by hair care extraordinaire Kachina C. Fleet, owner of C’est Chic Concepts. This annual event will be held on this Sunday, December 6, 2015 from 4 p.m. to 8 p.m. at Nahla’s Beauty Lounge. “Treats and Tea” will provide guests with an opportunity to be pampered, inspired and educated by health, beauty and fashion experts in the community. Complimentary beauty services, winter fashion tips, a boutique shopping experience, and of course delicious treats and teas are just a few of the things you will enjoy at this year’s “Treats and Tea” event. There will also be a few surprises that you don't want to miss! Get your tickets today via Eventbrite. C’est Chic Concepts is proud to uplift and support the community through events, such as Treats and Tea, and a scholarship fund for aspiring creatives and artists that will start in 2016. If you are looking for a great way to end the year, then treat yourself to this one of a kind beauty experience! For more information and vendor inquiries, please visit Eventbrite or email info@sensationalsoirees.com. I've enjoyed assisting C'est Chic Concepts with planning for this event, and can't wait to see you Sunday! Tell me your favorite treats and teas in the comments section.